You can finish this game in under a minute! What's meta about it? State of the game IS your health. World gets uglier with each hit you take. Same goes for your level of abilities (running and jumping). You can only shoot with full health. 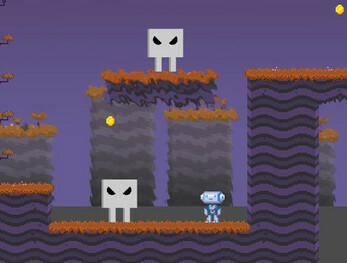 Play as a little robot. Collect as much as coins as possible and get back. 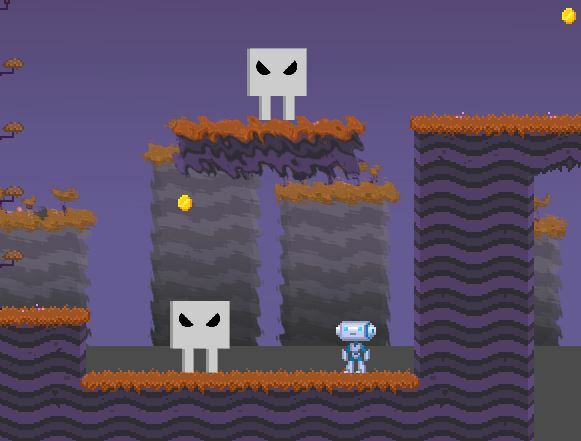 This is modified Godot 2D platformer template. As a Godot newbie I did only bunch of scripting and some texture editing. Enemy design is by Johannes "Fry".